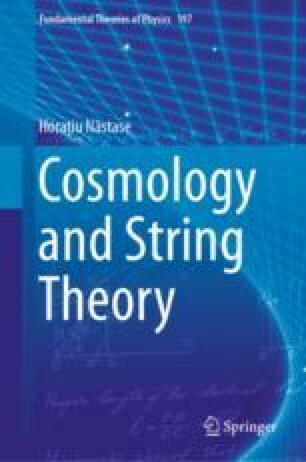 In this chapter we will consider the general scenario of a brane moving in an extra dimension, and the generic cosmology it implies. This is a “Brane Universe” scenario, or more properly, braneworld cosmology. It is based on the general idea introduced by ADD of large extra dimensions, or by Randall-Sundrum (versions I and II), where the matter (i.e., particle physics) resides on a brane, whereas gravity is the only field that feels the extra dimension. In this scenario, the cosmology is induced by the motion of the brane in the gravitational spacetime with an extra dimension. This is different than the previous incarnation, where the position of a brane acted as a field on the worldvolume (also containing our real 3+1 dimensional world), identified with the inflaton. Here we are mostly interested in “late time” cosmology, in the era that we have radiation and matter.